Colour Touch Screen Display: large 4.85" screen for easier editing. 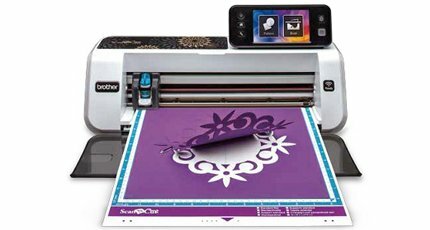 300 DPI Built-in Scanner: create your own cut files. Precision Cutting: german carbide blade, Japan design quality. Wireless Network Ready: ScanNCut2 Online – transfer files with ease (ScanNCut2 Online Activation Card required, not included). Work Space (Height & Width) inches 12" x 24"
Scanning Work Area (inches) 11.68" x 11.68"